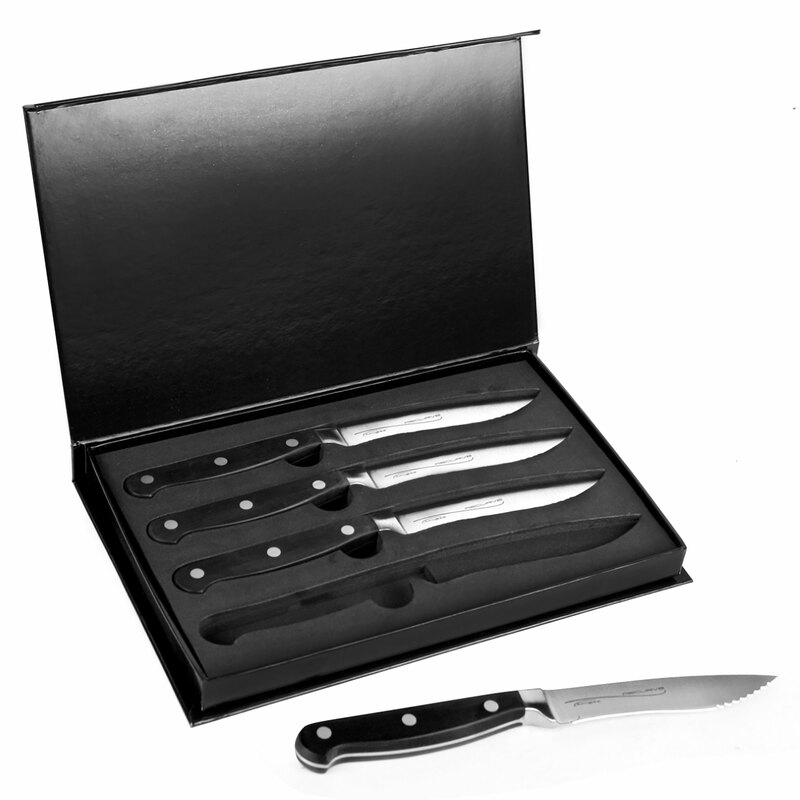 Recurve Forged Steak Knives are designed to provide a clean cut that results in a better tasting steak. 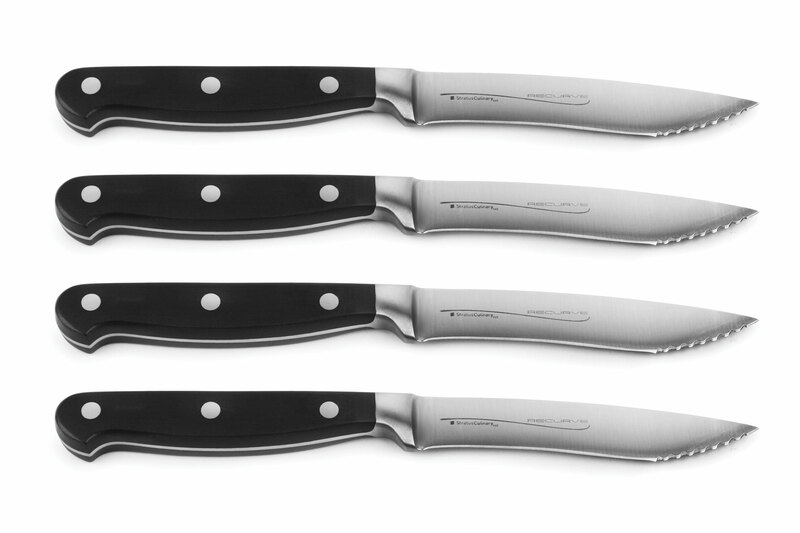 A piece of steak cut with a sharp knife retains more of its juices and is more flavorful, but ceramic dinner plates can easily dull an edge. 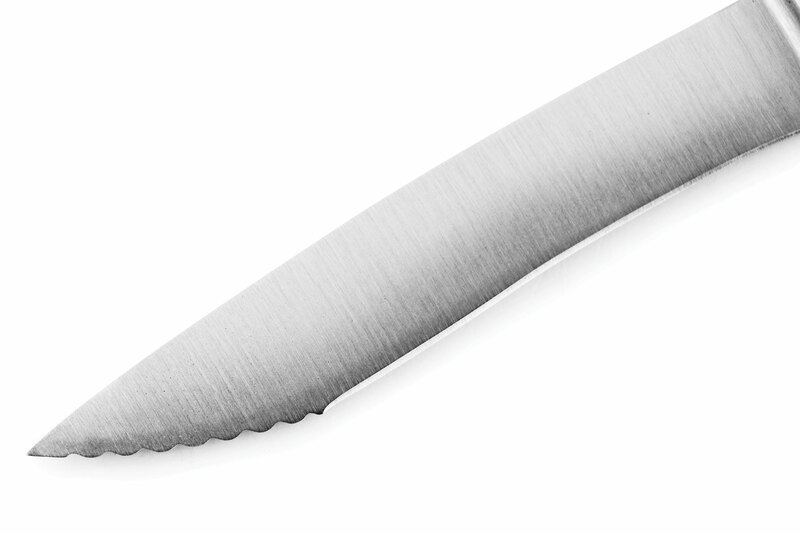 This unique blade geometry allows the knife to stay sharper longer by keeping the main part of the cutting edge away from the surface of the plate. 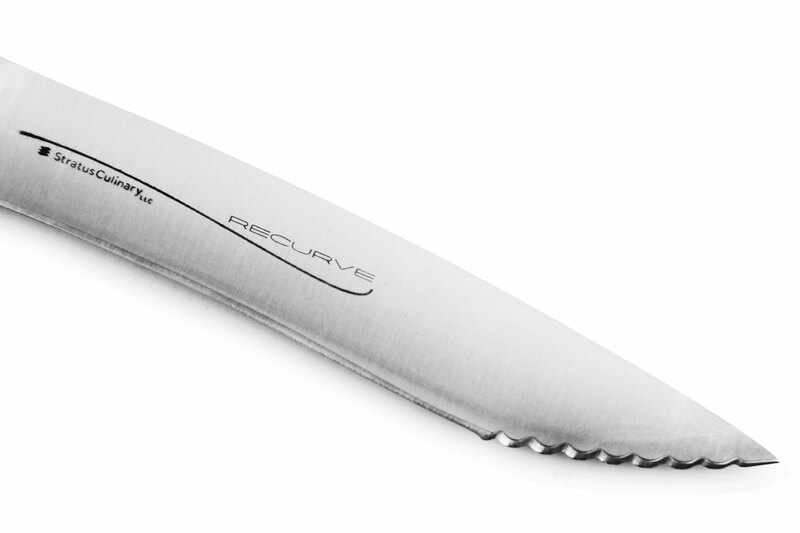 The tip of the knife has a special reverse scallop serration that will not tear the steak as it cuts. 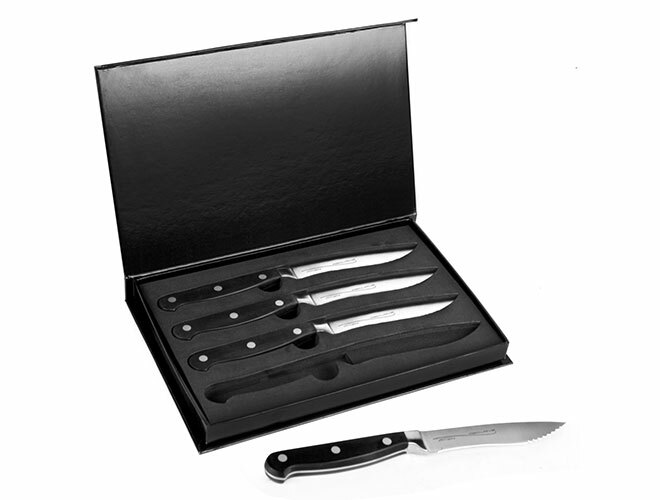 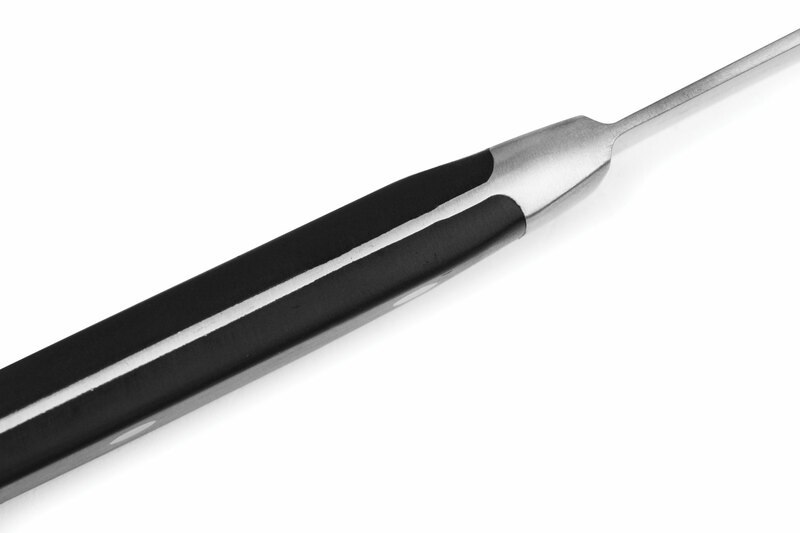 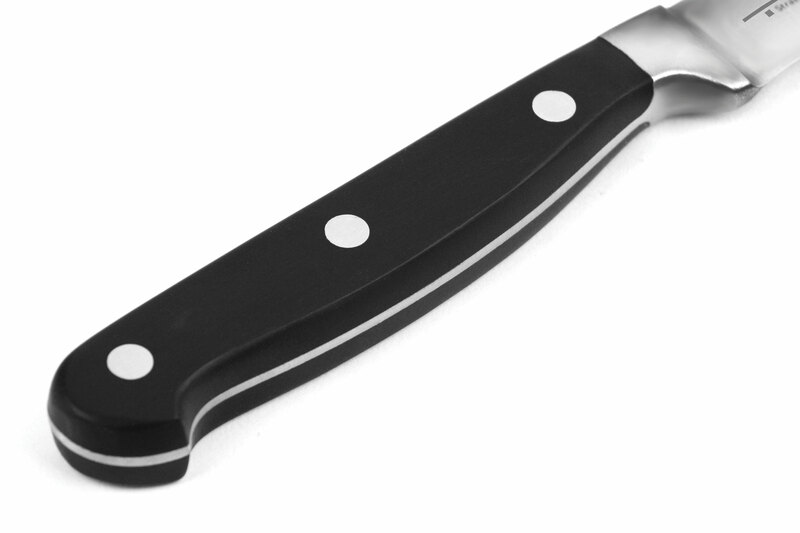 Forged from high grade German stainless steel with a durable handle material which is completely dishwasher safe.